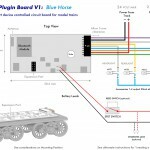 As a new or existing retailer for BlueRail Trains, here is some information you might want to know about the first BlueRail board. 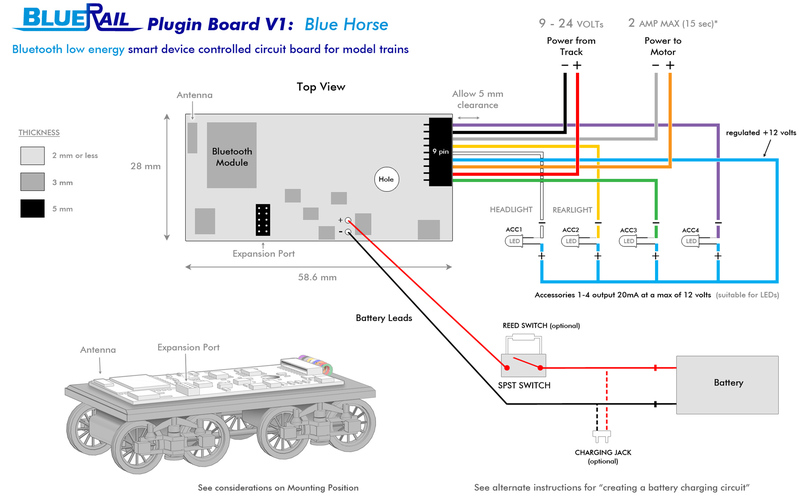 This board utilizes the same technology used in the Bachmann E-Z App trains (which Bachmann licenses from BlueRail). Because E-Z App enjoys a large user base, the free control app (iOS and Android) and firmware have received well over one thousand hours of software development, making it the most developed and tested train control app on the market. There is no ramp up time with this product – it is simple to install and very intuitive to use (without instruction). The board can be powered by DC, DCC, or battery power, and is particularly popular with battery-operated or Dead Rail users. 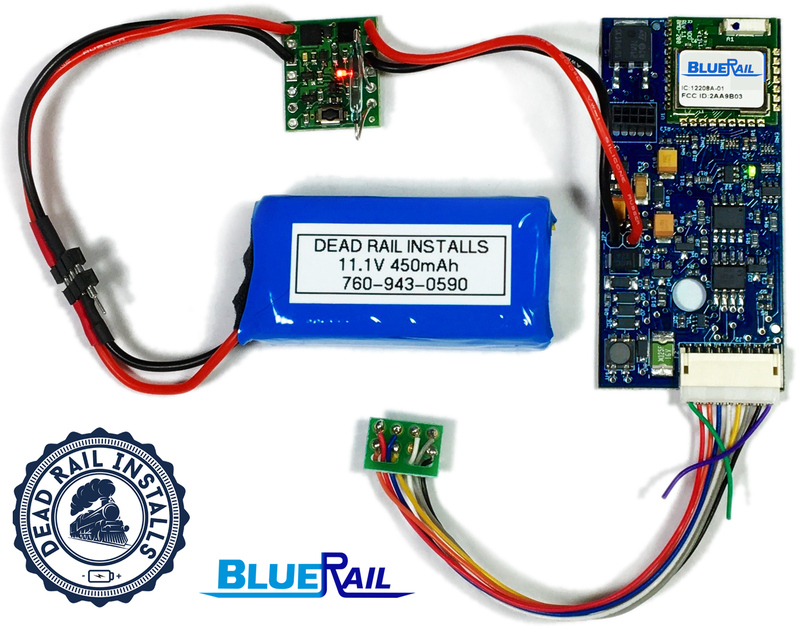 Unlike other train control systems, BlueRail has no “system” to buy, so there is little investment required to “try it out” (except getting a board and owning an iOS or Android phone/tablet). 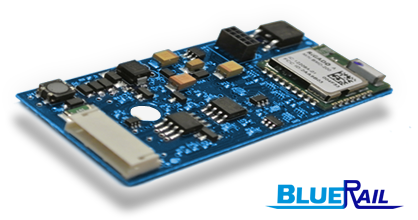 Your smart device must support Bluetooth 4 (see this article). 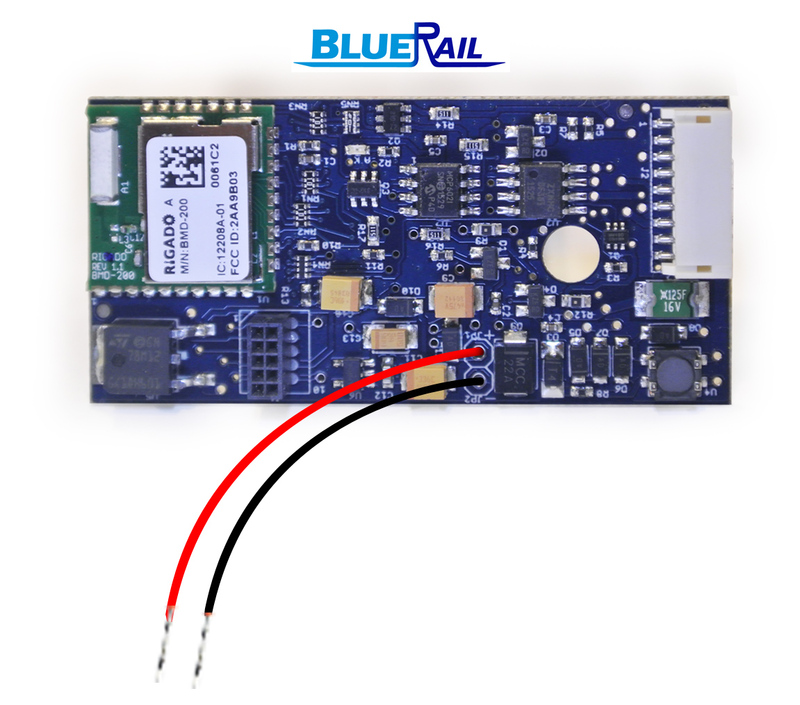 The first BlueRail board is 58.6mm x 28mm (2 3/8″ x 1 1/8″). Here is a printable PDF that can be printed, cut-out, and used to test to see if it will fit in a particular loco or space. This board is frequently mounted in HO steam tenders, as well as any On30, S, and lower amperage (2 AMP or less) O and G scale trains. The board can also be used to provide power to a DC train layout (example) allowing the app to control 1 conventional DC train and up to 4 LED layout lights. Here is an article that summarizes a checklist to determine if this board is a good choice for a particular loco. Because the board is so easy to install, as a retailer offering installations you can provide much “perceived value” with very little installation time. The board accepts a standard 9-pin JST harness (sold separately). For DCC-Ready locos this is plug and play, or you may connect the colored wires according to the NMRA color convention (diagram). 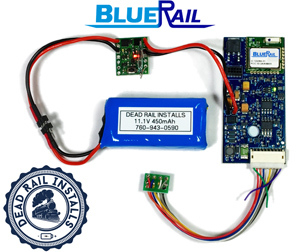 The BlueRail website is well documented with articles and videos, alleviating retailers from dreaded tech support. 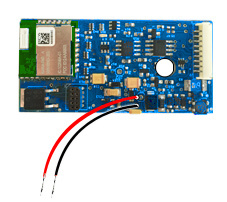 The board does not contain onboard sounds and cannot presently trigger sound decoders. Locomotive sounds are within the app (in the smart device). 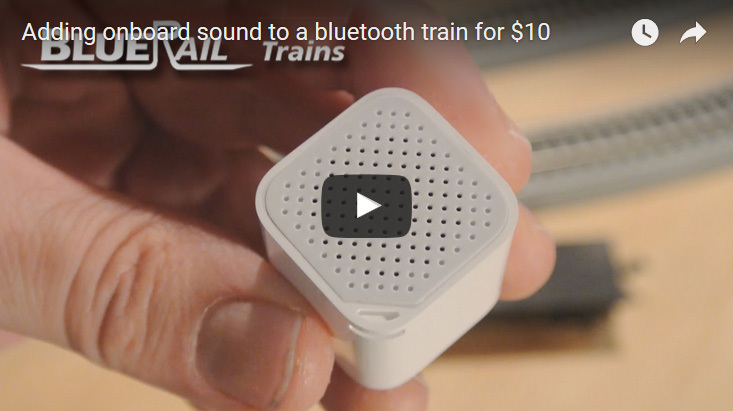 Many people position a small rechargeable mini-bluetooth speaker within the loco for onboard sound (see video). You may also use a bluetooth speaker on the layout, headphones, or the speakers of the smart device or tablet. BlueRail is compatible with Bachmann E-Z App trains, and you may run as many locos as you like simultaneously. The board works well on DCC layouts (for power) and can be run alongside other DCC locos. The iOS version of the control app contains added features like consisting, speed-matching, and chuff-rate calibration. Ditch lights is supported in both iOS and Android. The board can be operated with either the BlueRail app or the Bachmann E-Z App (both free). App Features table below. Compare BlueRail app to E-Z App. Every board is hand tested (1 year guarantee). We have a 99% satisfaction rate from all of our existing BlueRail users and stand behind our product. Please email us for pricing information or more info.